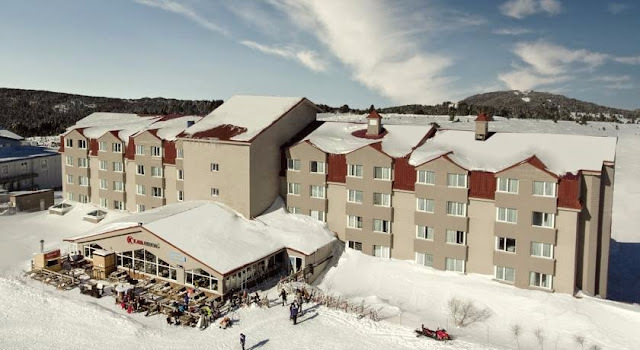 Uludag, Turkey's largest ski resort, is located in Bursa. Many local and foreign tourists come to Bursa, which is especially close to big cities, in winter and spring months. With the ever-increasing facilities, ski trails, ski lifts and Uludag Hotels, the region has become more interesting. While skiing tourism continues in Uludag , which is under the snow in winter, walking in long hiking trails in the lush green areas in spring and summer becomes indispensable for nature lovers. Uludag Oteller Region is located in the status of 'National Park'. The thickness of the snow, which is up to three meters in December and April, is well suited for skiing and winter sports. The ski areas in Uludag are 1750 and 2543 meters high and have different runways at the level of difficulty. The total length of the pistes is 20 km, with 12 ski lifts and 11 telescopes. Particularly on weekends and semesters, Uludag is subject to a lot of fascination and especially festivals and concerts that address university youth and holidaymakers. If you do not have skiing equipment and clothing over time, you can rent from the resorts or ski resorts. We especially recommend that you take clothes that keep you warm. Uludag Hotels are divided into 1 st and 2 nd Districts. While the tracks in Zone 1 are easier, Zone 2 can be called for professionals in general. In Uludag we especially recommend the Mining Plate which appeals to the skiers at the higher level. Do not go back to Uludag without a sahlep against the scenery. Do not miss the regular sausage bread party at the evening and lunch of the facilities. If you are staying in a hotel in the evening, you can take your day off with a crisp, crackling fireplace.